Bullet Resistant Glass - Rocklin Glass & Mirror, Inc. Rocklin Glass & Mirror, Inc. Bullet Resistant Glass - Rocklin Glass & Mirror, Inc. In the real world, “Bullet Proof” doesn’t exist! 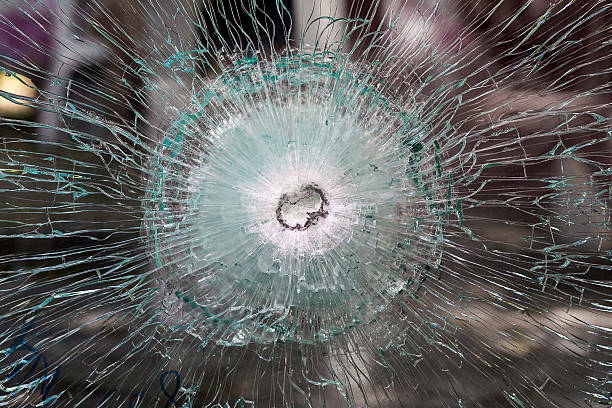 Bullet resistant glass is nothing like its portrayal in the movies, read on. Bullet resistant glass is often assumed to be bullet proof and is assumed that it stops the bullets with no regards to what is being shot. 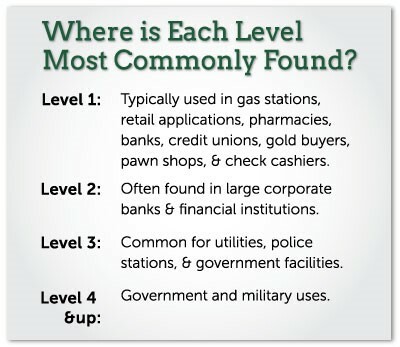 Bullet resistant glass is manufactured at different “levels.” From level 2 up to level 8, withstanding different projectiles. As the level of protection increases, so does the weight and thickness of glass. When selecting bullet resistant glass there are number of variables to consider, level of protection is one, composition and spall variant are another. Ballistic glass is manufactured to meet test criteria by national standards. Technical performance is required to withstand impacts from a range of travelling bullets at specified speeds, and distances. Bullet resistant glass manufactured from several layers of glass bonded with tough polyvinyl butyral (PVB) interlayer’s. The performance requirements govern the number, thickness of glass layers, therefore affecting the overall thickness and weight of the glass. On impact the glass is designed to absorb the bullets initial impact energy by shattering the subsequent glass layers and PVB to absorb the lower level shock waves. Bullet resistant glass is a type of clad polycarbonate by a multi-ply composite laminate combining polycarbonate and glass using special polyurethane adhesion bonding interlayers which allows for contraction or expansion of both materials. Purchasing and installing bullet resistant glass in the United States is perfectly legal. You don’t need a police or government permit. We do suggest; however, contacting your local building and/or fire inspector to determine building codes, inspection and/or permits necessary.